Free and open to the public. Free parking in the Core West Parking Garage. Common Ground Center at Kresge College presents UCSC Bioneers, A Bioneers Resilient Communities Network Event. Don't miss the first annual UCSC Bioneers Conference, two days of transformation and connection featuring over 30 plenaries and workshops with visionary activists, scholars and students, Saturday evening community World Cafe conversations and drum circle, food vendors, ice cream social and more! Melissa Moreno - Culture and Seeds: "Las Tres Hermanas"
Liora Adler, Hansung Lee, Kritters Blevins and Cecile Andrews - Ecovillages, Intentional Communities and Housing Cooperatives. Full program online at commonground.ning.com/ucscbioneers. UCSC Bioneers opening ceremony will begin at 9:00 am on Saturday, May 2nd; the first keynote begins at 9:15am with workshops in the afternoon and a musical celebration ending at 9:00pm. Sunday morning keynotes begin at 9:00am followed by workshops and a final keynote to finish at 3:00pm. Saturday 1:00 - Live Acapella with the Hightones, 5:00-6:30pm Thriving Resilient Communities World Cafe, followed by dinner and an outdoor Drum Circle with Jim Greiner 7:30-9:00pm! Food vendors Holy Smokes Country BBQ and Cafe Iveta will be on site selling food Sa lunch and dinner and Su lunch. Kresge Food Co-op will be onsite selling snacks and drinks. Community Agroecology Network will be onsite serving free bottomless coffee. We aspire for this to be a zero waste event, please bring your coffee cup and dishware. Since 1990, Bioneers has acted as a fertile hub of social and scientific innovators with practical and visionary solutions for the world's most pressing environmental and social challenges. Visit Bioneers.org to learn more about our programs including: Resilient Communities Network, Everywoman's Leadership, Cultivating Women's Leadership trainings, Indigenous Knowledge, Restorative Food Systems, and our award- winning radio series and rich library of media materials. Experience the Bioneers National Conference each October, and regional Bioneers Resilient Community Network gatherings held throughout the year. To learn more about Bioneers, visit www.bioneers.org. The mission of the Kresge Common Ground Center is to create cultural change for social justice, environmental regeneration, and economic viability; acting as a catalyst and facilitator of systemic change through undergraduate action-education, research, advocacy, and civic engagement. To learn more about the Kresge Common Ground Center visit kresge.ucsc.edu/commonground. This event is made possible by the Kresge College Common Ground Center, Bioneers, Campus Sustainability Council, Sustainability Office, Measure 43, Porter Provost, Porter Senate, Oakes Provost, College 8 Provost, Cowell Provost, Kresge Ecovillage, Literature, Environmental Studies, Sociology, Anthropology, Community Agroecology Network, Mission Hill Creamery, and all of our plenary and workshop presenters who have generously donated their time. 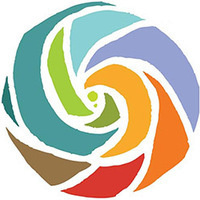 UCSC Bioneers is a local, self-organized Bioneers Resilient Communities Network Event. To learn more about Bioneers, visit www.bioneers.org. This event is free and open to the public. Free parking in the Core West Parking Garage.